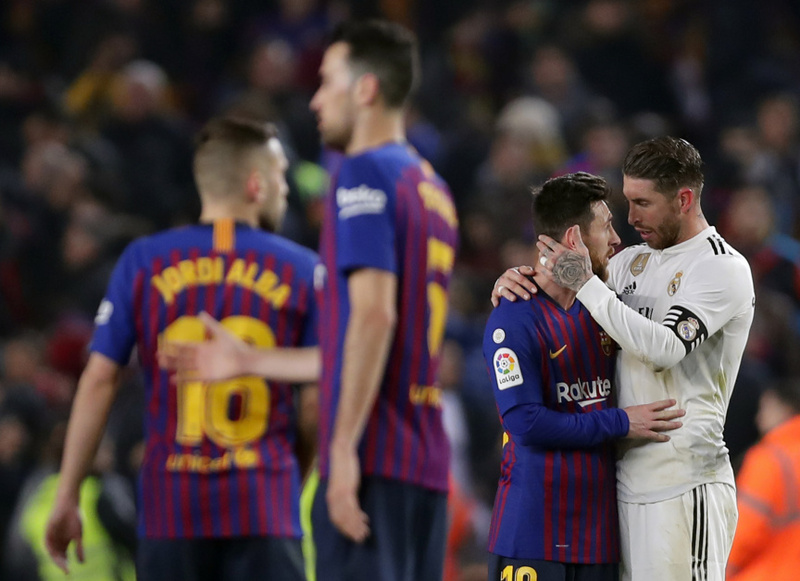 The Argentine then came on and didn't show any signs of an injury when he plucked the ball from Casemiro's boot, raced forward and was fouled by a scrum of Madrid's defenders near the area. He stayed on the turf to gather himself, before he smashed his free kick into the wall. But the 18-year-old Vinicius did provide the key pass to the visitors' goal in the sixth minute when he spotted Karim Benzema at the far post defended by the under-sized Jordi Alba. Benzema won the ball after Alba failed to reel it in, and the Madrid striker sent a low pass across the goalmouth where Vazquez slipped around Clement Lenglet to redirect it home.